100% Certified Berkshire Pork fresh ham. 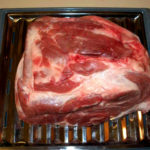 This is tender, lean, and the perfect cut for braising, roasting, grilling or smoking! Make your own smoked ham. Our fresh ham shanks and hocks are packaged individually. 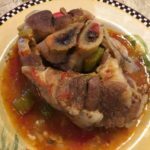 Perfect for a boiled dinner or pork osso bucco.